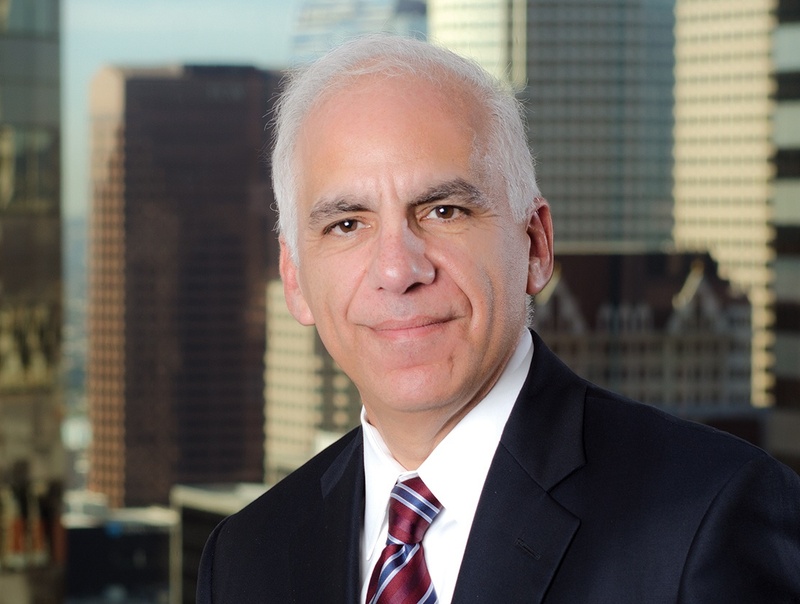 Robert Ceccon is one of RWG’s most experienced litigators. He has taken over 25 cases to judgment as lead counsel in trials in both state and federal courts, and has arbitrated dozens more. He has argued before the California Court of Appeal. His over three decades of experience have spanned the entire range of tort liability and damage claims against public agencies, including inverse condemnation, solid waste, police practices, employment claims, wrongful death claims, and dangerous conditions. He has achieved significant victories for his clients in complex multi-party cases where millions in compensatory or punitive damages were at stake. Bob serves as RWG’s Litigation Department Chair. He is co-author of California Government Tort Liability Practice, which California Courts of Appeal have cited hundreds of times. Bob is a natural trial attorney. He attributes his success to some of the skills he learned growing up in Boston’s South End: thinking on his feet, anticipating problems quickly, and utilizing the art of persuasion. Bob combines people skills with the most current audiovisual courtroom techniques to paint a vivid picture that brings the facts of a case to life for a judge or jury. Bob never shies away from a tough case. When the County of Ventura needed an experienced trial lawyer to defend it in the La Conchita landslide cases alleging 10 deaths and tens of millions of dollars in claimed damages, it called Bob. More recently, the City of Brea asked Bob to defend it in an excessive force case brought by the family of a criminal suspect fatally wounded in an officer-involved shooting. Bob and his trial team prevailed using the same tools they apply in every case: thorough investigation, persuasive writing and tireless commitment to the client. Bob has represented the cities of Barstow, Beverly Hills, Brea, Buena Park, Calimesa, Carson, Compton, Hesperia, Indio, Lynwood, Malibu, Oceanside, Palmdale, Pasadena, Rancho Cucamonga, Redondo Beach, Rialto, Stanton, Temecula, Upland, West Hollywood, and the County of Ventura. Fishback v. County of Ventura. Bob represented the County of Ventura as lead trial counsel in this significant environmental protection case involving illegal dumping of 8,000 truckloads of unpermitted construction debris into the canyons above Simi Valley, California. Bob obtained judgment in favor of the county ordering defendants to clean up all unpermitted fill material, and to pay $21.7 million in statutory penalties to the county ― the maximum statutory penalty under the Public Resources Code. This case represents the first California case of statutory penalties ever awarded for illegal disposal of solid waste. Alvis v. County of Ventura. Bob represented the County of Ventura as a lead trial counsel in defense against two lawsuits brought by over 80 plaintiffs in connection with the 2005 landslide in La Conchita, California that resulted in 10 deaths and destruction of 16 homes. Bob prevailed against damage claims based on theories of dangerous condition of public property, wrongful death, nuisance, and inverse condemnation resulting from alleged negligence in approving plans for a retaining wall intended to protect against such a landslide. The Court granted summary adjudication in favor of the county based on design immunity and substantial evidence that the county reasonably approved the design of the wall. The ruling, which resulted in dismissal of all personal injury claims, is the first appellate decision in 2 decades to address the approval element of design immunity, and clarified the type of defects that can be claimed a changed condition. Dunex, Inc. v. City of Oceanside. Bob represented the City of Oceanside as lead trial counsel in connection with an inverse condemnation lawsuit involving mobile home law in the context of a mobile home park conversion to residential ownership in the Coastal Zone, which is subject to regulation under the Coastal Act. The suit alleged that the city’s mobile home rent control ordinance resulted in a taking that caused at least $30 million in damages. The Court ruled in favor of the city, holding the plaintiff could not prove a claim because it had made a reasonable return on investment for the plaintiff. Collender v. City of Brea. Bob represented the City of Brea and its police officer as lead trial counsel in connection with an officer involved fatal shooting of an unarmed man. The decedent was alleged to have committed an armed robbery and was reaching towards his pocket when the officer attempted to arrest him. The shooting was captured on video. Plaintiffs claimed that the city defendants used excessive force. The jury deliberated for less than a day and found in favor of defendants. Alvis v. County of Ventura, 178 Cal.App.4th 536 (2009). In the La Conchita landslide litigation brought by over 80 plaintiffs, the appellate court affirmed the design immunity defense to plaintiffs’ claim for dangerous condition of public property, finding that the county’s discretionary approval of construction of a wall was sufficiently informed and the design was sufficiently reasonable for design immunity, and no changed condition defense to design immunity applied.